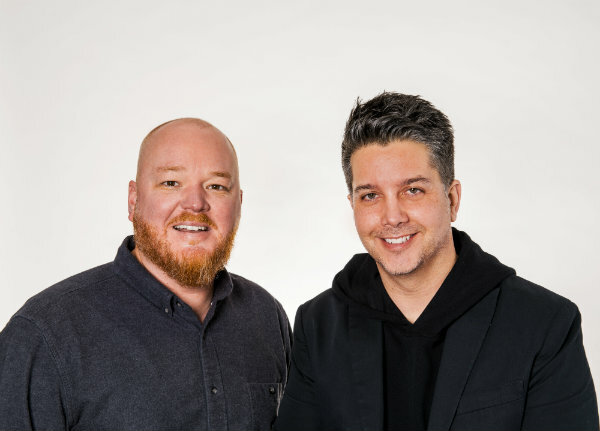 Global creative agency Wieden+Kennedy (W+K) has named Mike Davidson and Matt Hunnicutt co-directors of production. The move was a promotion for both, who now oversee multidisciplinary production capabilities across the Portland office, including broadcast, interactive, experiential, and art production. The role was previously held by Patty Brebner, who recently moved into a newly created role, heading up the agency’s branded content and creators studio. “Everything we’re doing at W+K Portland is focused on ‘Becoming the world’s most provocative maker of branded everything’ and modernizing our approach to production is absolutely critical to that,” said executive creative director Eric Baldwin. Hunnicutt, a native Texan, got his start in film as a national Eastman Kodak Scholar in college, which led to a mentorship at the International Cinematographers Guild in Hollywood and work on feature films and television shows at Warner Bros. Studios, such as ER, Frasier, The West Wing, and Friends. He went on to produce television for A&E, the History Channel, and Discovery Channel before making the switch to advertising in 2001 as a producer at Energy BBDO. He joined W+K in 2006, and during his 12 years here has produced award-winning work for clients including Nike, Coke, Old Spice, Kraft, EA Sports, Facebook, and P&G. Prior to his promotion, he spent five years as executive producer and integrated production director, overseeing production across the Nike Global and North America business. Notable award- winning projects include leading multiplatform campaigns like Nike’s “Risk Everything” for the World Cup, “Unlimited” for the Olympics, the “Equality” campaign, and advertising’s first originally scripted and Cannes Gold Lion–winning episodic series, “Margot vs. Lily.” Other highlights include P&G’s Emmy Award-winning 2012 “Thank You, Mom” Olympics spot; five Super Bowl campaigns for Coca-Cola, including “It’s Mine” and “Heist,” which won the primetime commercial Emmy in 2009; and Nike’s “Fate” and the “Most Valuable Puppets” campaigns. “We couldn’t be more excited to lead W+K’s Production Department into the future under a mission of relentlessly finding a way to bring seemingly impossible creative dreams to life and to create culturally impactful work in any form for our clients,” Davidson said.